Announcement Do you have a family reunion or a wedding to plan this summer? My Crochet Rosary makes a great gift for the wedding attendants, for the honored guests, or as a gift at the rehearsal dinner. Just message me with your custom color choice. Baby's First Rosary and My Little Mass Bag are available in many different colors - if you don't see your favorite color, just contact me and we'll get a custom color order set up. Do you have a family reunion or a wedding to plan this summer? My Crochet Rosary makes a great gift for the wedding attendants, for the honored guests, or as a gift at the rehearsal dinner. Just message me with your custom color choice. 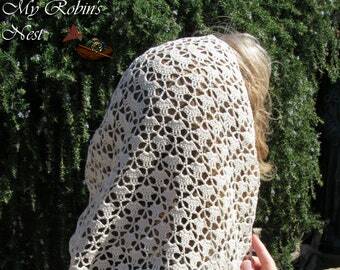 Robin's Nest Comfort Shawl (Dayspring) will wrap you up in softness. A thoughtful gift for a grieving friend or a treat for yourself. Robin's Nest Comfort Shawl (Eventide) will wrap you in softness. Makes a thoughtful gift for a grieving friend or a treat for yourself. 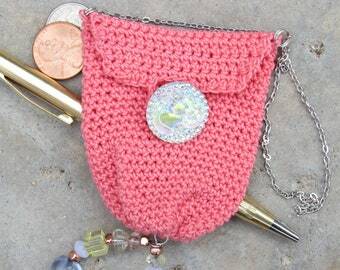 Princess Purse (Pretty in Pink) A very small pouch that can be used for a rosary. Use it to store saint medals, a flash drive or coins. Sophia's Confirmation Veil - A beautiful mantilla to wear to Mass. Chapel veil that can be worn as a scarf. Crochet veil for girls. Totally Happy Tote White/Multi (shopping bag) Boho market bag with tassel. 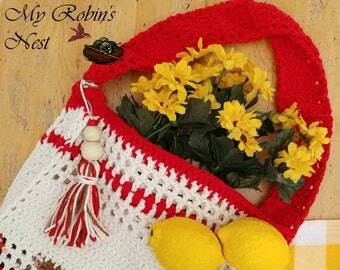 Use it as a beach bag or a grocery bag. Use it as a purse. Totally Happy Tote (shopping bag) red. This boho market bag is so fun. 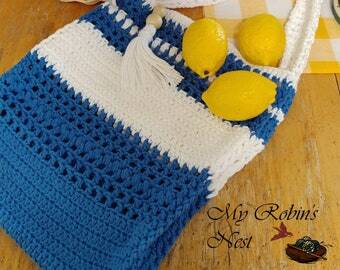 It can be used as a purse or beach bag. 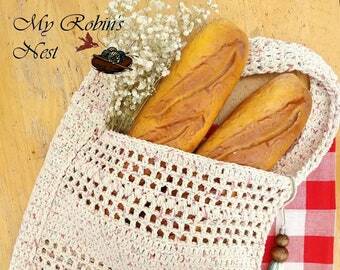 Earth friendly reusable bag. Totally Happy Tote (shopping bag) Yellow. Market bag has a boho look with a tassel. Sturdy and washable - use it again and again. Totally Happy Tote (shopping bag) red/white/multi. Market bag has a boho look with a tassel. Sturdy and washable - use it again and again. Totally Happy Tote (shopping bag) blue and white. 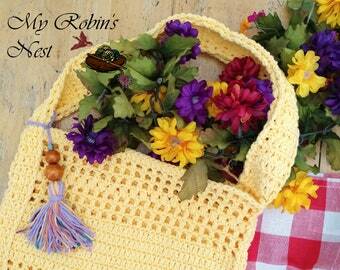 Cheerful market tote is sturdy and washable. Boho style makes it fun to carry as a purse. 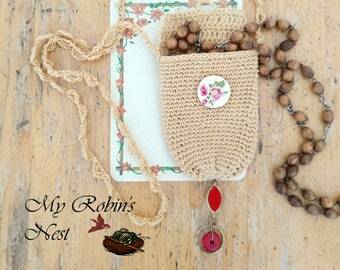 Always There Rosary Pouch (Tan) Pretty little pouch you wear as necklace. Use it for your rosary, saint medals, or prayer intentions. 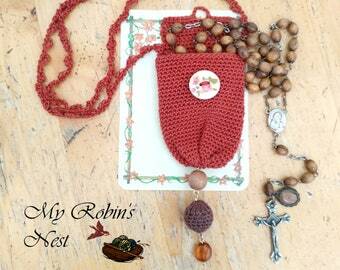 Always There Rosary Pouch (Rust) Pretty little pouch to wear as a necklace. 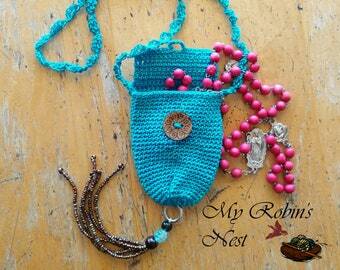 Crochet boho amulet pouch. Can be used as a gift bag. Always There Rosary Pouch (light green). Small pouch with a boho look. Wear it as a necklace. 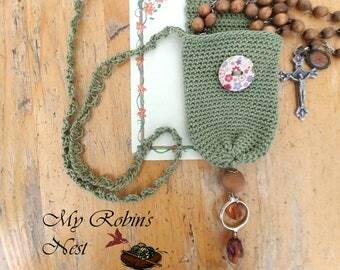 Always There Rosary Pouch (turquoise) Wear it as a necklace. 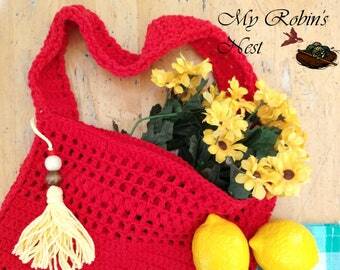 This small pouch necklace has a tassel that gives it a boho look. 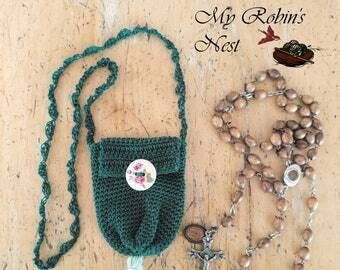 Always There Rosary Pouch (Forest Green) - You wear this small pouch as a necklace. It has a boho look with a tassel. 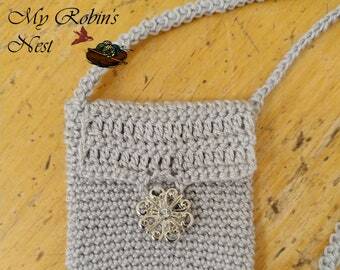 Always There Rosary Pouch (Grey) Wear this small pouch as a necklace. The tassel gives it a boho look. I love these, they are perfect in every way. Nice feeling in the hands, no noise, strong, and pretty colors. Sent FAST a 5 Star rating to this seller! 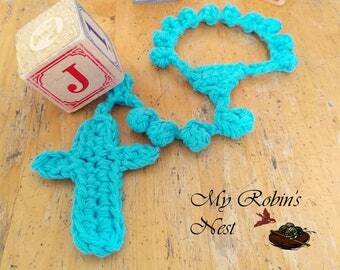 Crochet Rosary-great for the bedside (fall asleep-it won't break). Fits comfortably in your pocket. MRI/X-Ray safe. Great for the elderly. Who wouldn’t want to pray for the dead, your family, or friends. It is perfect in every way. 5 star ratting for this seller. Beautiful, sent FAST too! All ready for Easter with Baby's First Rosary. What a surprise to find a rosary inside an Easter egg! Baby's First Rosary. Safe for baby - made with sturdy cotton. Cute plush baby rosary. Prayer beads for baby. It's an unbreakable rosary! I'm using a steel crochet hook and cotton crochet thread to make the Always There Rosary Pouch. Baby has a tight grip on his rosary. He's a future prayer warrior. Cotton, literature, flowers, and the great outdoors...what more could we ask for? 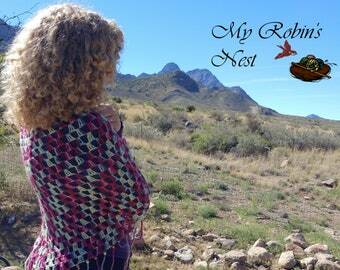 Robin is seen here with her favorite mantilla. 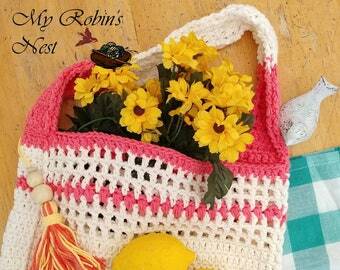 Crochet and Roses - Oh my! Robin's Nest - outside again! Well. 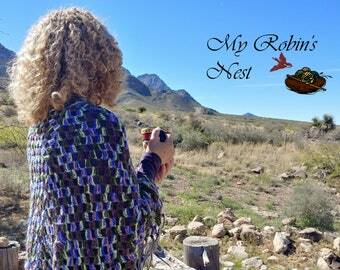 . . That's not a Robin, but it is Robin's Nest! Crochet according to Another Robin's Nest: the process of lovingly infusing natural fibers with a sense of elegance, practicality, and play. Everything you find at the Nest was made with a joy filled heart and a smile. It all began when the frazzled homeschooling mother needed something to keep her wits when she listened to the young homeschoolers recite their ABCs and memorize their 123s. During this time, her most complex crochet projects were pencil toppers (that never actually made it to a pencil) and animal shaped potholders (that ended up on children's feet). Baby blankets were also flying off the hook. The years passed and the young homeschoolers became moderately adept at their ABCs and their 123s and they moved on to chapter books and long division. At this time, Robin was called to design and crochet rosaries (several of which went on an epic adventure to World Youth Day). Time skipped along; the young homeschoolers delved into literature and algebra and Robin designed for a four-legged species--dogs. Oblivious to the controversy, she crocheted coats of all sizes, shapes, and colors. 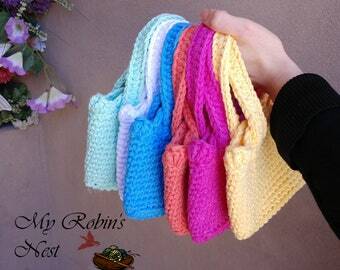 This was Robin's first official foray into crochet as a business. It was profitable, rewarding, and she discovered the joy that crochet can bring to others (not sure the dogs always liked it...humans and their funny ways). As some of the homeschoolers graduated (with diplomas in hand), Robin discovered she had more time for crochet and promptly registered "Robin's Nest" as a local business and entered the community of the Farmers and Craft Market. Here was where she sold an assortment of tiny cellphone bags (that soon began obsolete), southwestern style wine bottle holders, cotton baby blankets, and assorted sized bags. Due to local drama (city planning renovations and upheaval of the Market), Robin's Nest decamped for a calmer environment and focused her skills in supporting babies in need of handmade items (blankets and socks). 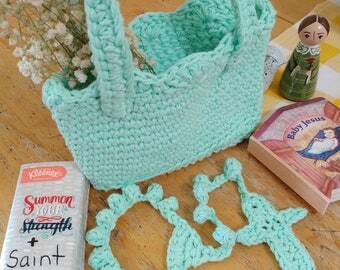 She also crocheted for her own kitchen and the occasional Christmas present. 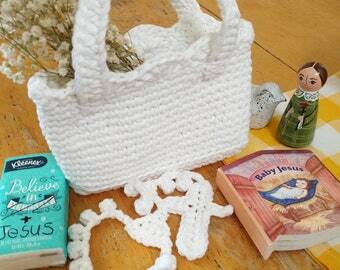 One hot summer day while lounging with a glass of iced tea, someone had the brilliant idea of starting an online store filled with literature and crochet (no pencil toppers or dog coats in sight). These days, Robin can be found at her worn and battle scarred kitchen table in company with her lone holdout homeschooler and geometry. Between Pythagorean Theorem and the Distance Equation, Robin builds her inventory and contemplates creating her own crochet patterns using nature and literature for her inspiration.